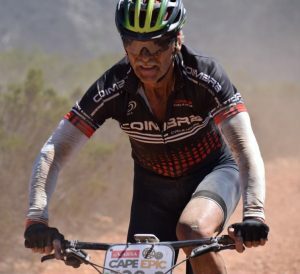 When it comes to mountain bike racing, few events are arguably tougher than the Absa Cape Epic. Whilst our eyes were fixed on the pro’s, a remarkable “Two Shades of Grey” team completed their Epic. Fred van Zyl (71) was one of the members and became the oldest person ever to successfully complete the race. I was born in Colesberg in the Karoo. What was your previous occupations? 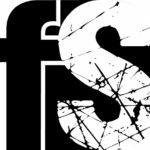 Why or how did the cycling bug bite you? My wife, Ina, started a spinning class in Richmond in 2005, where we were farming at that stage. She asked me to join her club to be an encouragement for other men to join the classes. That same year Richmond hosted a road race and I rode my first race and got hooked on cycling! What did it mean to you to become the oldest ever finisher of the Cape Epic? 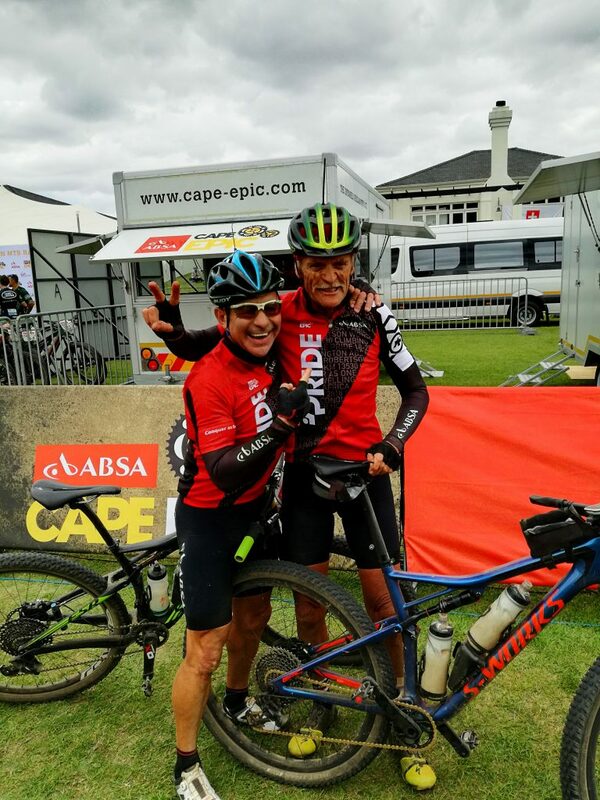 To become the oldest ever finisher of the Absa Cape Epic is a great achievement for me and it was a goal set by me when I was 65 to ride and finish the Epic at 71 years of age, and now my next goal is to finish the Epic at the age of 75. And hopefully set a new record as the oldest rider to finish the race, Lord willing! My main ambition in life and especially in cycling is to be an inspiration to all, young and old, because I believe that your age should not restrict you from accomplishing anything you want to achieve in life, it’s all in the mind and you are what you think you are! Think old and you will act old. Did you have a game plan coming into the event? I had no game plan coming into the event, just to take it easy and finish each day safely in one piece and to enjoy the event, which I certainly did. 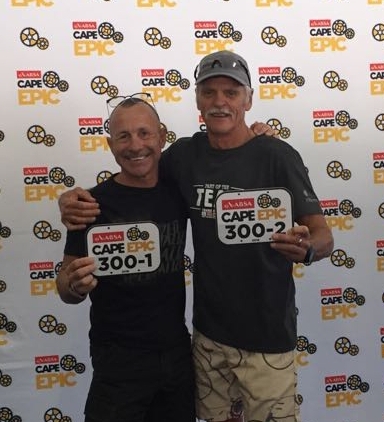 The Epic is all about a great partnership – how did it go with yourself and Erik Knoetze? Erik was a fantastic partner and so caring and encouraging, could not ask for a better partner to ride the Epic. We had a ball of a time and enjoyed each other’s company each day and have become great friends in this Epic experience. What does a normal week of training look like for you? My normal training week consists of five days on the bike, averaging 14 hours and resting two days, and gym five days a week for one-hour sessions. The three months prior to the Epic I averaged 20 hours per week. Any big plans or races for the rest of 2018? I want to finish the 10 36One events and after that my next goal is to complete 20 races which will celebrate my 84th birthday in 2031. July: Six of us will be flying to Italy, Bassano and spend 10 days riding in the Dolomites with our road bikes. To be the oldest rider to finish a race definitely keeps me motivated. To ride with my grandchildren one day also motivates me to press on. Riding with my son, Derick, in stage races motivates me, such a privilege and a blessing for me. 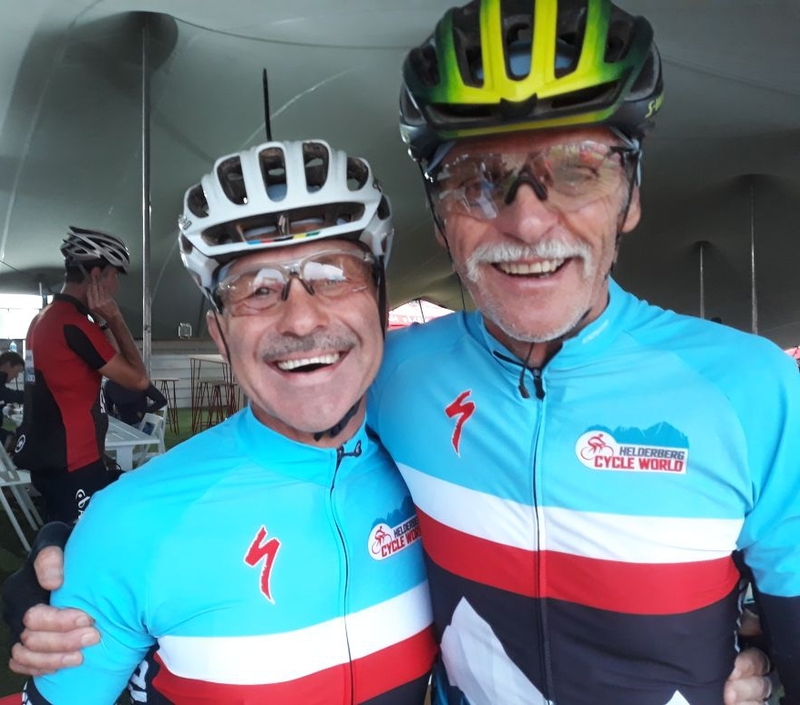 After 8 days the pair rolled over the line at Val de Vie in Paarl. When you are not on the bike, what other hobbies do you enjoy? My favourite hobby is fishing, and we have been going to Hentiesbaai in for the past 22 years. I do enjoy some golf when I have the time.